Roasting vegetables never gets old. It is an easy way to eat delicious vegetables with little or no effort. You can tweak this recipe to include vegetables fresh for the season. 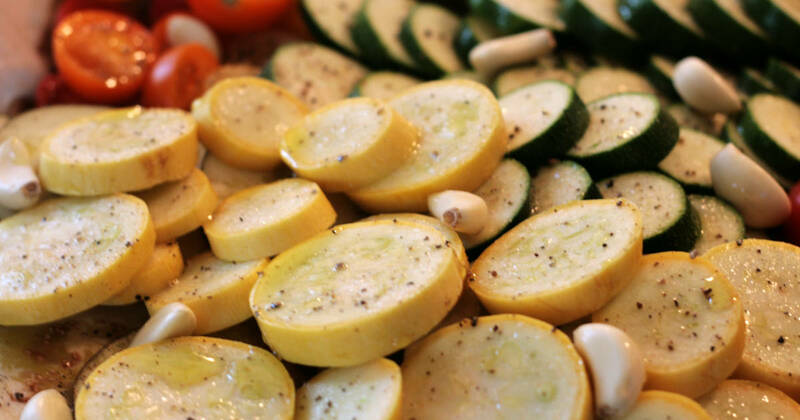 Toss the vegetables in olive olive and sprinkle herbs, black pepper and pepper flakes. Hold the salt.